One of the main reasons I love fashion so much is that it gives each individual the opportunity to express who they are though what they wear. If you have been following my blog for any length of time, you know that I have an infatuation with mixing modern and vintage pieces. For years, I have been collecting brooches from various antique shops and thrift stores; my favorites are they few I inherited from my my grandmother who passed away a few years ago. Although brooches go in and out of “style”, for me, it is one of the accessories I incorporate each season. Because they have been collected and acquired over time, they are not something you can easily duplicate, making them unique to me. To give my brooches a new place in modern style, I always pair them with contemporary jackets, sweaters and coats. 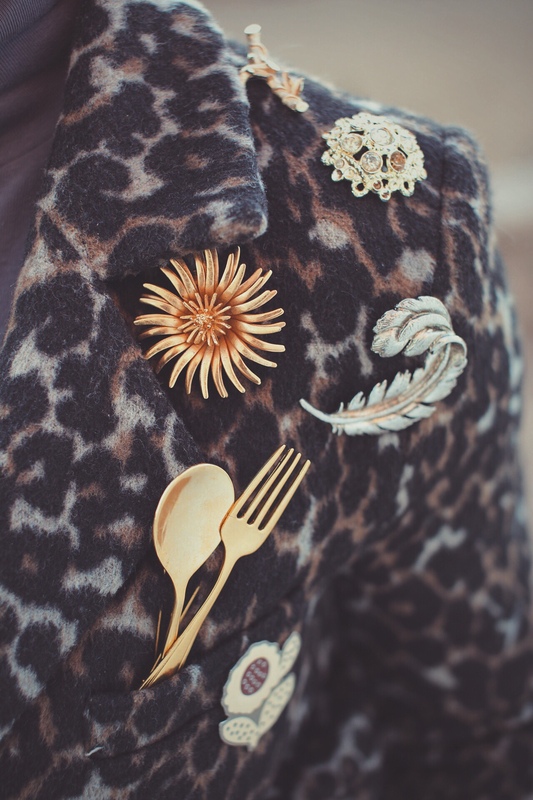 I have taken one of my leopard jackets from Forever 21 and added all of my favorite brooches. What better way to show personal style than with your phone. We use our phones multiple times everyday and often buy a case that fits our personality. Instead of worrying about the case the new Moto X phone comes in three beautiful styles. Jonathan Adler, known for his incredible pattern designs, had joined forces with Motorola to create one of a kind designs for the new Moto X Pure Edition. Besides falling in love with the outside of the phone, the functionally of the phone is simply amazing. The Moto X has a 21MP camera (compared to 12MP and 16MP from other brands), turbo charging abilities that can give your hours of battery power in minutes, is water resistant, quality audio, and comes unlocked so you can use any carrier your heart desires. Visit the Moto X Pure Edition site to learn more and compare it to your phone. I promise it will make you want a new one!